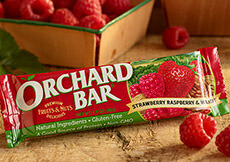 THE PREMIUM FRUIT & NUT BAR PEOPLE LOVE! 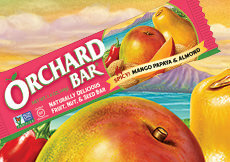 It took us three years to create a really delicious health bar, and we think you'll love them. 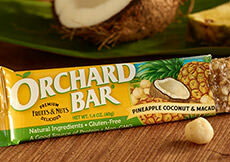 There are all sorts of "health-energy-nutrition" bars on the market, but most of them don't taste very good. 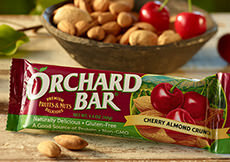 The Orchard Bar has all the good things those other bars have... naturally delicious from fruits and nuts, good source of protein, rich in antioxidants, 60% organic ingredients, gluten-free, no trans fats, low sodium, no cholesterol, vegan, non-GMO, no preservatives, and so on. 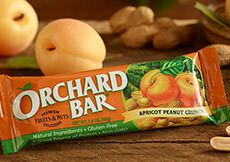 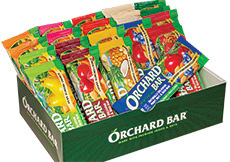 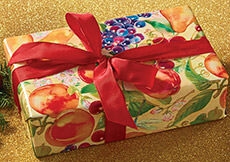 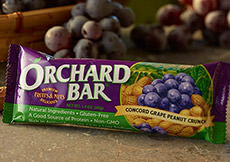 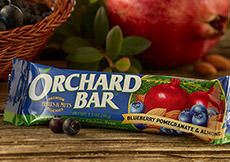 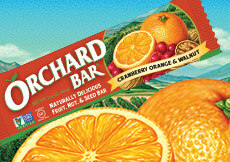 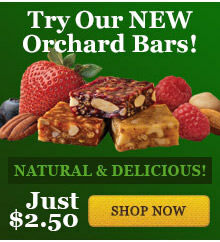 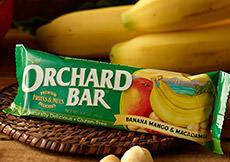 But on top of all that, our ten Orchard Bars are yummy and satisfying. 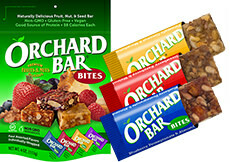 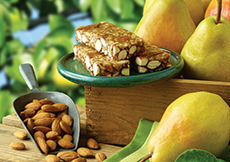 Made from our special recipe of wholesome fruits, premium nuts & seeds, and protein-rich soy nuggets, the Orchard Bar makes for a delicious snack, quick meal, or sweet treat.